Just wanted to write a little about Ramadan, Ramadan is shortly amongst us. This is a month celebrated by Muslims it’s a month of prayers and fasting from dawn to sunset. Families spend time together to break their fast at night and during the day it’s mostly spent praying for forgiveness. Ramadan can be very hard if you have an illness but God is ever forgiving and doesn’t want to put hardship on someone if they can’t do something that’s why if your ill you are forgiven if you pay for someone else to be able to break their fast. It’s not a lot of money but the rewards of feeding someone during this month is countless. Thanks for the perspective. I’ve long wondered how the rigorous fasting requirement of Ramadan affects insulin-dependent diabetics. With a pump, or even MDI it’s probably not too unmanageable, but still more complicated than it would be for non-diabetics. But for people on R/NPH insulin it’s a different story. I know when I was on it I found any kind of fasting extremely difficult, and I know a lot of T1s are still using that combination all over the world. Thanks for posting about Ramadan. Although I’m Jewish, I know a little about Ramadan but others might not (I hope @Osob will correct me if I get anything wrong). Ramadan is a special Muslim holiday celebrating the time when Mohammed first received his revelations. Fasting from sunrise to sunset is a central part of the celebration of Ramadan. But it can present problems for those of us with diabetes. Technically if you have illness you can be exempted from the fast, just like ill Jews are exempt from fasts during their high holidays. But Muslims also have a tradition that if you cannot fast due to illness or old age that you must pay fidiya, you pay to feed a poor person’s for a day for every day you miss. And it is interesting to note that a key element of both Ramadan and the Jewish high holidays involve asking for forgiveness. I really wish we had better understanding in the world, we actually have a lot in common. Osob - Thanks for posting about your cultural and religious tradition, Ramadan, and how it affects your diabetes. I’ve experimented with intermittent fasting and have successfully kept my blood glucose numbers in check. I might do this once per week but a whole month would be tough! I think fasting can have very good effects on people with diabetes. I think it’s interesting that many of the world’s great religions feature fasting as a way to focus the mind. By the way, I realize that since Ramadan requires fasting from sunrise to sunset, that time in the northern latitudes can be quite long as we near the summer solstice! Forgiveness is a great salve and often misunderstood. It took me a long time to realize that forgiveness is a gift you give yourself, not to someone who harmed you! Good luck with your observation of Ramadan, however you do it. Great post. I have two friends who honor Ramadan, but neither is diabetic. Thanks and many blessings to you! Happy Ramadhan to you my friend! Thankfully I’m still capable of fasting -minus the occasional hypoglycemic episode. I too have struggled with what it means to break my fast and I’ve come to realize the error of my ways. This Ramadhan will be special though seeing as it’ll be my first time fasting during working days -summer elective. I hope it goes well. Best of luck-and BG- to you! You guys have no idea how happy i am right now to find a post about Ramadan and fasting! I used to reduce and change the timing of my Lantus (long acting insulin) now I don’t know what to do I was thinking of fasting the next few days to test and see what works best for me before Ramadan arrives but I’m traveling soon and I’m busy packing. @Osob how do u do it? any advice? tricks or tips? @Anna6 I am sorry I can’t offer you any advice as I’ve never fasted, for me I reckon it’s too dangerous plus I am breastfeeding so won’t risk it just pay. @MarieB thank you I think I wrote that post last year. I am humbled by the amount of replies I was second guessing about posting this so glad I did now. @Brian_Bsc your spot on. Thank you for your replay and information. Knowledge and communication is truly a power. Thank God for tudiabetes for connecting us all from all walks of life. @DrBB my father in law is on MDI and he amazes me managed to fast the entire month. I get scared have no idea how he does it. But if God hasn’t made it a must on those that can’t I don’t see the point in struggling and putting myself at risk. Impressive. I have to say, as a T1, it’s a lot easier dealing with Lent. I mean, you can always give up sweets, right? I guess I’m gonna experiment and see how its gonna work by fasting for a day or two before Ramadan starts insha’allah. Allah does not want us to harm ourselves so don’t be too hard on yourself. Thank you hugs and kisses from me and the girls. Oh wow where is home?if you don’t mind me asking. I live in the United Kingdom but originally from Somalia. Inshallah we all get the most of this Ramadan. Youch! Do you find that people in general there understand T1 and hypoglycemia and the idea that high-glycemic foods are a problem for you and all that? I’ve never been to Saudi but I’ve experienced other cultures that were quite industrialized and sophisticated but people by and large didn’t have any awareness about it. It gets so much play in the media here that you can rely on some general knowledge about it even if people get mixed up on the details, but that’s not the case everywhere and it can be disconcerting. 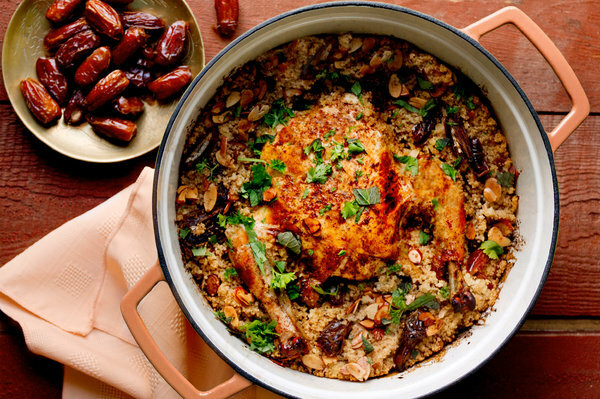 For suhoor, iftar and Eid al-Fitr, recipes for your feasting table. I haven’t looked very closely at them, hopefully there’s something there that will work for you. Thank you everyone for your kind wishes! @DrBB I dont even know where to start! I’ve had more highs since I came here in a week than in 3 months anywhere else… I dont know if its the food, the lifestyle (I’m less active here) or incorrect carbs counting. I met with a group of friends last week and one of the girls is a diabetic too (too bad I only found out after she left) but I noticed that when we ate she had regular coke and didn’t even take insulin. Now i am not judging… I was in her place once where I had forgotten my pen at home or didn’t want to inject myself in front of certain ppl. However, I was saddened to hear about her not taking care of herself and her diabetes. I have to say, it took me a lot of pushing and dragging to fire up my laptop and check tudiabetes. I am kinda struggling to maintain stable bg levels and I feel like no one could help me here (in Saudi i mean). I’m trying to get people to carb count and correct and move (by people I mean my family lol) but I feel discouraged. Anyways, enough rambling for one post.